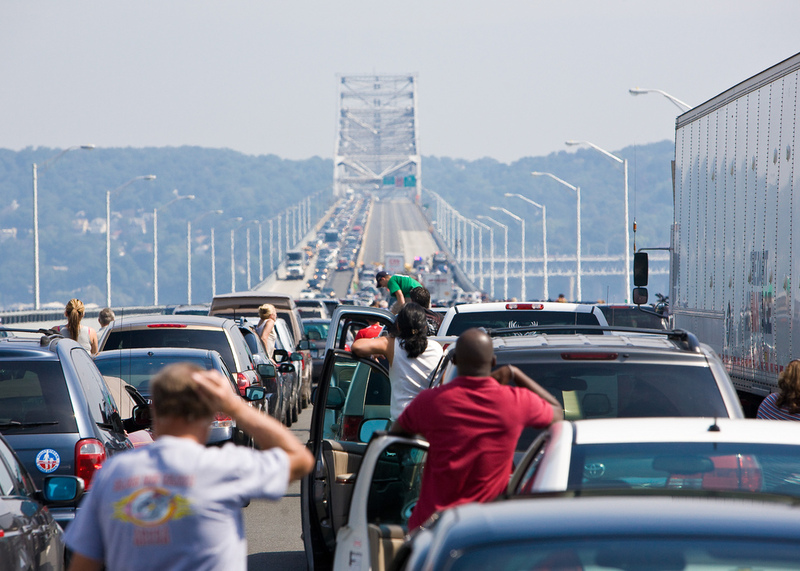 Although the U.S. has been experiencing a decline in road fatalities, congestion and traveled distance continues to rise. Photo by th.omas. U.S. Transportation Secretary Ray LaHood announced a 3 percent decrease in road fatalities between 2009 and 2010, which still adds up to 32,788 deaths. According to LaHood, last year’s traffic fatalities fell to the lowest levels since 1949, despite a 0.7 percent increase in the number of miles Americans drove—about 20.5 billion extra miles—and an 11 percent increase in congestion in the country’s 100 biggest metropolitan areas, making the decrease in traffic fatalities especially noteworthy. According to LaHood, there are multiple factors to be credited with the decrease in fatalities, including strict law enforcement, safe driving campaigns and improvements in vehicle safety. LaHood cites the National Highway Traffic Safety Administration’s specific efforts on urging automakers to report safety defects, encouraging crash-prevention technologies and releasing rigorous crash-test standards as some of the significant work. Terry Kline, a professor at the Traffic Safety Institute at Eastern Kentucky University, has a different perspective on the possible reasons of a decrease in road fatalities. Kline argues that many factors influence crashes and that it’s difficult to assign credit or blame. “Each one wants to say, ‘Yes, it’s my program that did it,’ but it’s very hard to prove,” Kline said in an interview with CNN. He further explained that a number of factors are taking teenaged drivers off the road—the highest risk group for traffic accidents—which perhaps has been contributing to the decrease in fatalities. Can You Tell Me How to Get to...a Safer Street?